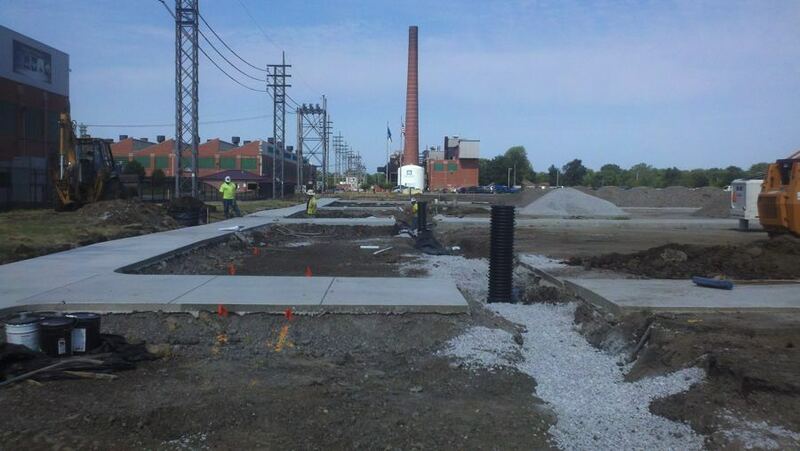 Westpoint Business Park Restoration was a multi-year design/build project that took place on three locations in central Indiana. 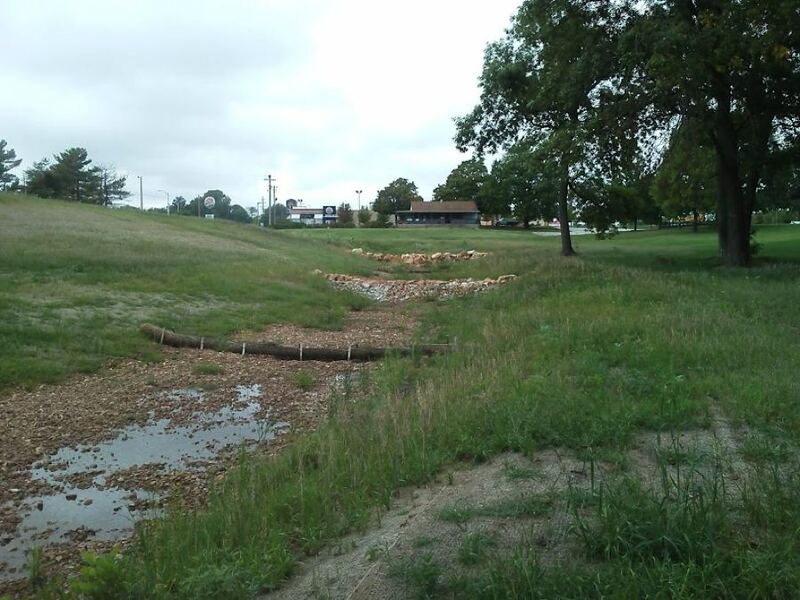 It was a combination of on-site and off-site wetland construction and restoration, stream relocation and bank stabilization. Through the coordination of Williams Creek Management Corporation (Williams Creek) and sub-contractors, the client was pleased with the outcome of this turnkey project. 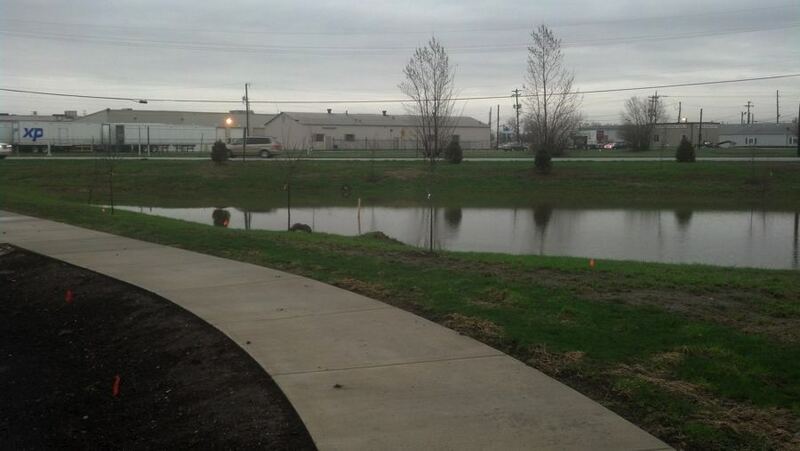 The first component of the project was approximately 19 acres of wetland constructed near Muncie, IN. 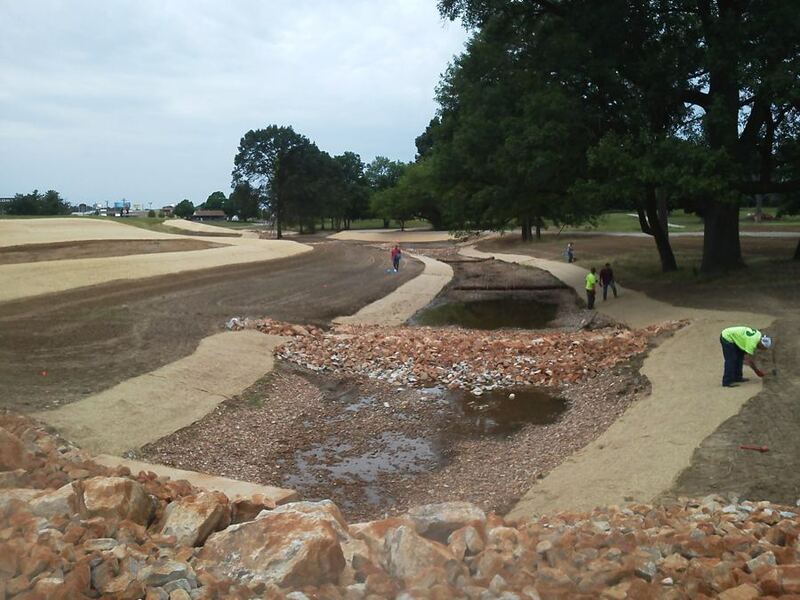 Work performed included 55,000 cubic yards of excavation, 22 acres of native seeding, and installation of over 2,800 1 gallon trees and shrubs. 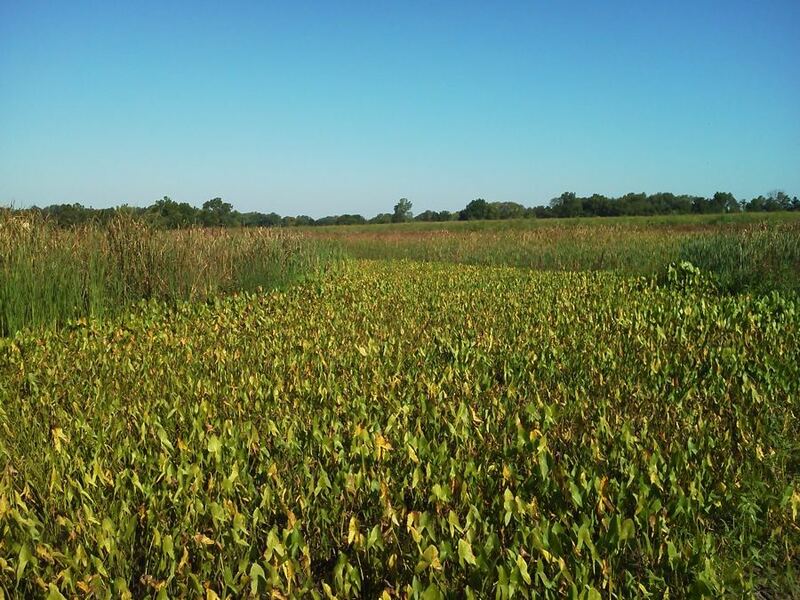 The two major obstacles with this project were access across an existing stream, and was proposed to be constructed within a hunting preserve. The access was over a deteriorating bridge. After troubleshooting with our local sub-contractor and the property owner, Williams Creek designed and installed a temporary crossing that shored up the bridge to allow large earthmoving equipment and dump trucks to cross. Since the land was a hunting preserve, Williams Creek provided daily updates to the property owner. With careful construction techniques within the limits of work and frequent communication, the surrounding land and wildlife were not impacted and the property owner was satisfied with the improvements to the property. 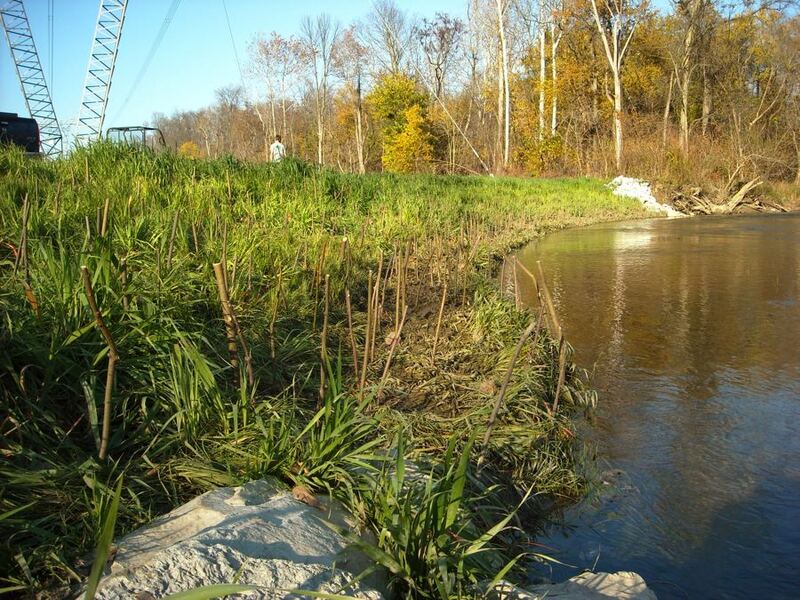 The second component of the project was a 1,900 linear feet of stream relocation near Martinsville, IN. The construction included earthwork, 5.9 acres of native seed installation, and 700 3 gallon trees and shrubs. Through the use of dewatering and project sequencing only one day of downtime was required despite the weather challenges. 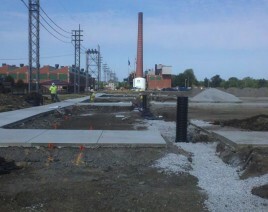 Williams Creek successfully completed this phase of the project ahead of schedule. 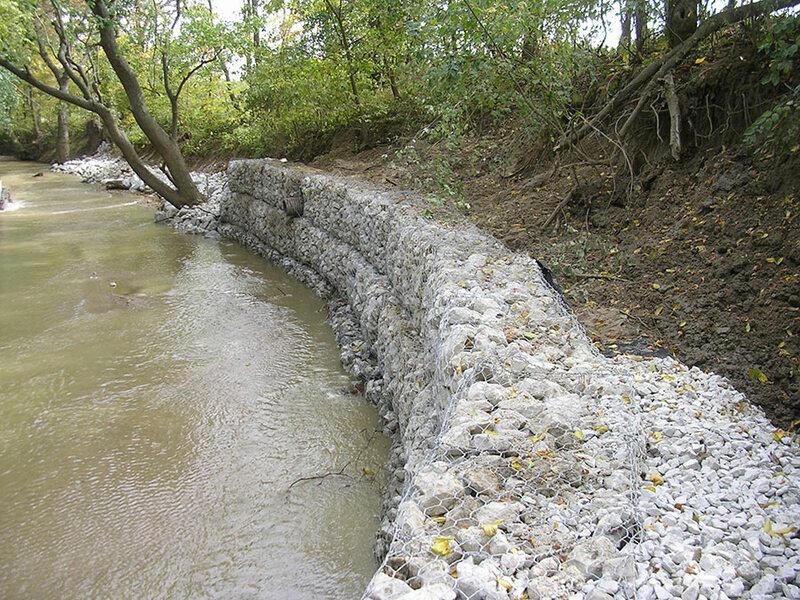 At the same site, Williams Creek performed bank stabilization along 310 linear feet of Clear Creek. The goal of the bank stabilization was to preserve the 15’ bank on which a potable water well house was located. 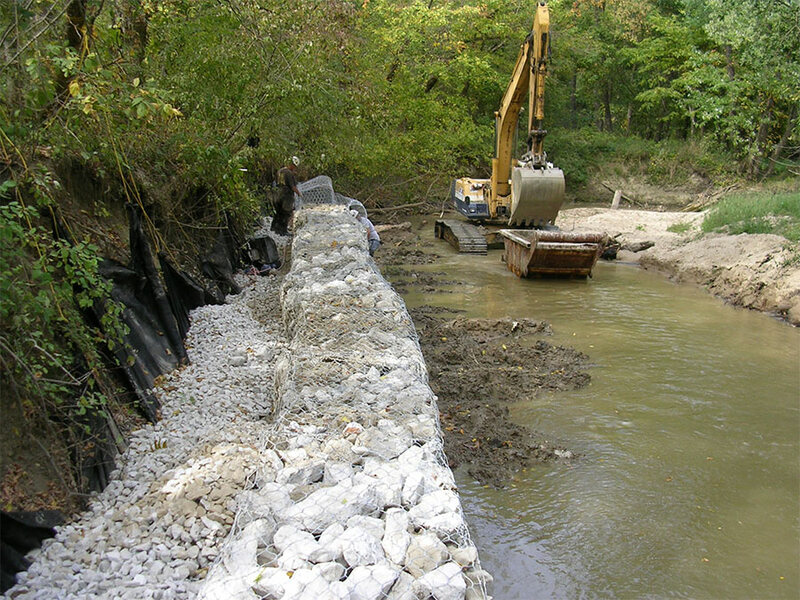 Stabilization techniques included gabion baskets, and shot rock along the toe of slope. At the top of the baskets the banks were pulled back at 4:1 slopes and was seeded and planted with approximately 50 shrubs. During this phase of the project, it was critical to maintain the schedule and work in a safe and efficient manor due to work within a stream. 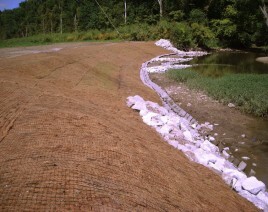 Through dewatering techniques and proper project sequencing, Williams Creek completed the project within the schedule and without incident. 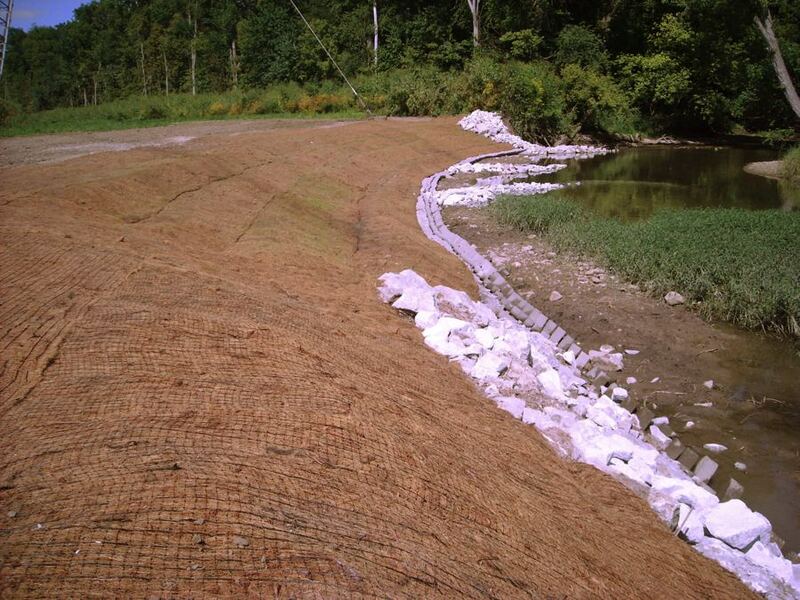 The last component of the project included riparian corridor enhancements to approximately 60 acres. 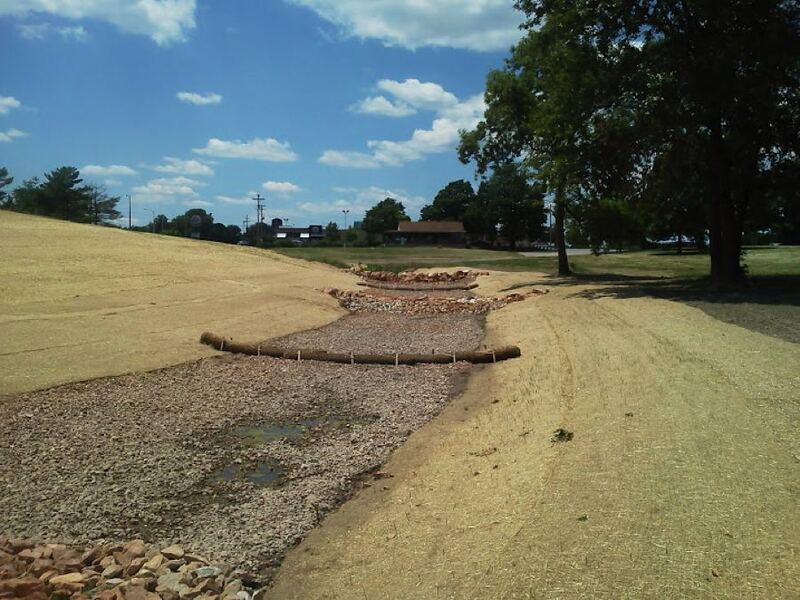 Restoration included over 40 acres of herbicide application to undesired woody and herbaceous species, a forested woodland seed mix, approximately 1,600 1 gallon trees and shrubs were installed. 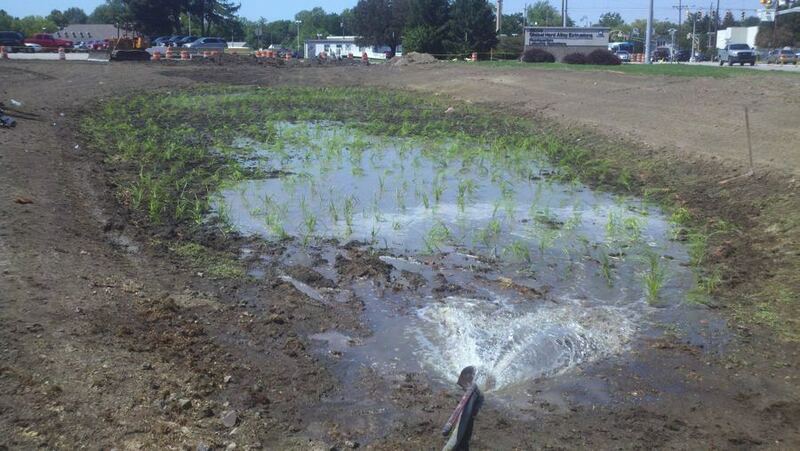 To improve amphibian populations in this area, eight breeding pools were constructed by excavation of soils and a bentonite amendment to ensure pooling. Due to work being performed in a wooded area with wet hydraulic characteristics, many different types of equipment were required. Low ground pressure excavators, tracked skid steers and off road vehicles with winches helped complete the project on schedule.